Travelling while studying is a great opportunity for students. It allows them to discover new countries and cultures while studying a language for example. There are different possibilities to travel when you are a student and also different types of trips. Here is a quick of summary of all the possibilities to travel while studying. 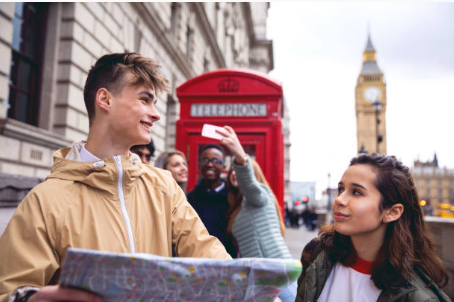 In several European countries, students in middle school and high school are given the opportunity to discover another country with a short stay. This allows young students to discover another culture and sometimes see how students in other countries study and live. This kind of trip, even if they are quite short, allow to see how life is in other places and also learn another language, which will prove useful for future trips and studies. Sometimes, this trip is done as an exchange, meaning that a student stays in a family for a week (or so) and then later, the student from the other family comes as well. This creates friendships that can be continued outside the school environment. It is also possible to study in another country for a longer time. For example, studying in an ib school, or studying in an international school in Paris, London or New York can be an real experience for students and pupils. Students who have an international baccalaureate or who have studied in an international environment generally integrate really good universities. There are also exchange programs that are in place in several countries, for example in Europe like the Erasmus program that allows student to go and study for one or two semesters in another country. This is a true travelling experience as it allows to visit a large part of the country and it also allows to mingle in the local life. Studying while young is thus possible at different ages thanks to the possibilities of studying abroad and international school trips. « What type of winter holidays to choose?